Frank's Commercial and Home Services, Inc.
Aurora Window Systems & Contracting, Inc.
Braymiller Builders of W.N.Y., Inc. Comment: Garage replacement window. Large ~4x6'. Currently, multi pane, non opening. Comment: I would like to get an estimate to remove a window and to put it back in after a bedframe has been brought through the window. Comment: Screen has come off door. It is a new screen and needs to be put back on and secured. 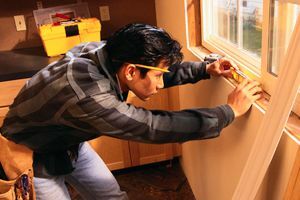 Buffalo Window Replacement Companies are rated 4.72 out of 5 based on 347 reviews of 26 pros. Not Looking for Windows Contractors in Buffalo, NY?